Any good masked sayian decks? So far i've made two and I want some feedback on them. Im trying to find to best agro deck currently. Peter's list is a good place to start. He did a deck profile on it too. 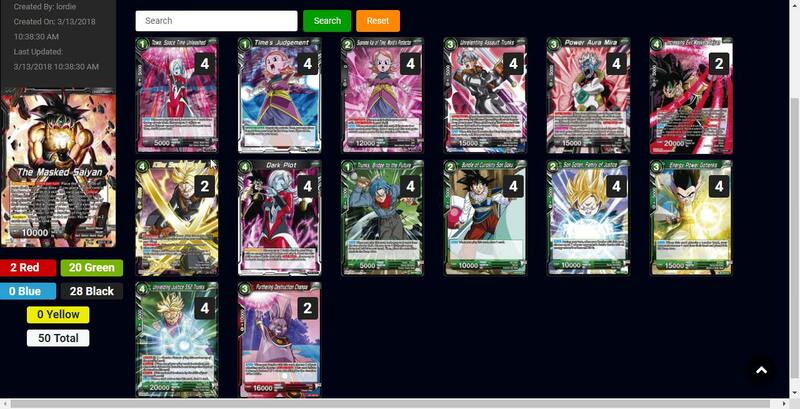 That tournament also had 3 other Masked Saiyan decks make top 16, all a little different. 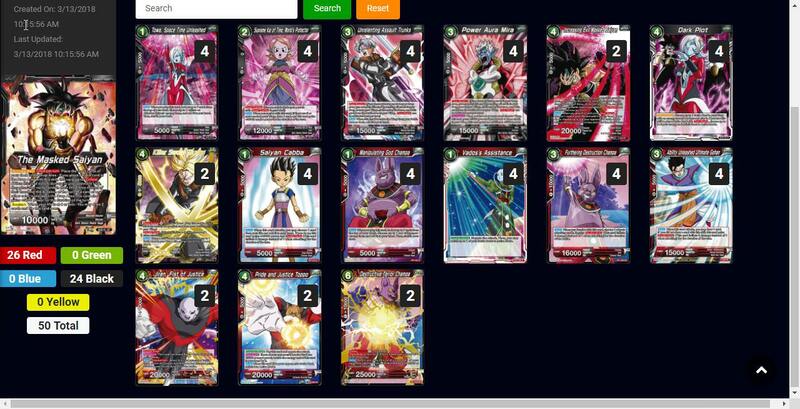 I also created a masked saiyandeck and found that it currently is down right nasty beating even beerus on more than occasion. It centralized around the warp concept and a lot of from drop zone effects. I can message you a checklist if you'd like.